French warplanes have bombed Gao, a city located in the one-time French colony of Mali. It would appear, from the news report I read, that the hostilities in Mali are essentially religious in origin, and that France's military intervention is in opposition to "a radical Islamist group" that the news report says is attempting "to enforce an extreme interpretation of Islamic law in northern Mali." I recently finished reading Infidel, the autobiography of Ayaan Hirsi Ali, who is pictured above. 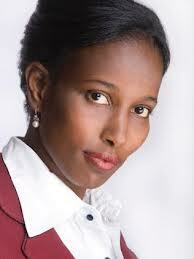 Ayaan Hirsi Ali was born in Mogadishu, Somalia, and lived thereafter in Saudi Arabia, Ethiopia, and Kenya. Her life is a testimony to what is implied by a strict or "extreme" interpretation of Islamic law. She was subjected to genital mutilation while a young girl, and while she was a devout follower of Islam in her youth, she ultimately fled Kenya to escape an arranged marriage, demanded by her father and sanctioned by Islamic law. She was given asylum in the Netherlands, and she then rejected Islam, ultimately becoming an atheist. After obtaining citizenship in the Netherlands, she was elected to the Dutch Parliament. Currently, Ali lives in the United States, where she is a fellow at the American Enterprise Institute. Her story is an exciting and informative one, and I recommend the book. In July 2010, Ali gave an interview to the Sydney Daily Telegram in which she is quoted as claiming that Christianity can, and presumably should, "combat the rise of conservative Islam." Churches should do all in their power to win this battle for the souls of humans in search of a compassionate God, who now find that a fierce Allah is closer to hand. Having read her story, (and I read it sympathetically), it seems to me that Ali is calling for what amounts to a religious war between Islam and Christianity - and she is doing that as an atheist, who abjures all religion. Even if Islam in the "real world" rejects the values of compassion, tolerance, and freedom, as Ali claims, initiating a religiously-based conflict to oppose Islam seems to me to be a poor prescription for the ultimate triumph of these values for humankind. We have to find a better way. In the United States, the Founding Fathers thought they found it, in a demand that political action be totally separated from religious doctrine. This is an approach I continue to endorse. Not only freedom of religion, but freedom from religion is what our First Amendment guarantees.